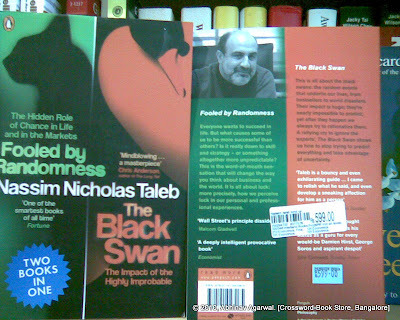 If you are interested in either Fooled by Randomness: The Hidden Role of Chance in Life and in the Markets orThe Black Swan: The Impact of the Highly Improbable then this seems like a bargain - both books in one paperback edition. For Rs 599. At the Crossword bookstore in Bangalore.